I was flipping through the channels in sheer boredom when I happened across 'The Book Show at Hay' (very fortunately) and found that the first guest is one of my favourite writers, Carlos Ruiz Zafon talking about his wonderful first novel 'The Prince of Mist', which was written as a novel for young people. This has just recently been translated and published in English and was originally published in Spanish in 1993. Zafon first commented that writers, he felt, fell into 2 camps; those that write about what they have observed in the outer world or those that write about what they observe in their own inner world; of which he falls into the latter group. However, the most enlighting bit of his talk was when he spoke of writing for young people as opposed to writng for adults. He praised the intelligence and insight of younger readers, and also the directness with which they approach what they read. Zafon found it freeing, in a way, to write for young people, because you can write without concern for all the "hype or notions of literary prestige." Young people, it seems, take the work at face value, with honesty and they either like it or they don't. How brilliant is that? A truly diverse list in content and age range for the Guardian Prize in children's literature emerges this year. Here's the link of Julia Eccleshare's excellent article from the Guardian today. My personal favourite is 'Ghost Hunter' by Michelle Paver. It is the last in the excellent 'Chronicles of Ancient Darkness' series that began with 'Wolf Brother'...dramatic, dynamic and insightful in it's examination of Torak's journey from the lonely orphaned child of an ostracised shaman to strong and confident young adult. The final installment is incredible! By the way, the illustration on the header of my blog is from the great American illustrator, Jessie Willcox Smith (September 6, 1863 – May 3, 1935). Jessie studied at the Pennsylvania Academy of Fine Arts under Thomas Eakins, and then later, she studied under Howard Pyle. One of the best loved illustrators of her day, she was primarily known for her Good Housekeeping and Ladies Home Journal covers, but she left behind an incredible body of illustrations for childrens books and fairy tales. My children remember her most for the countless posters of her work that adorned the walls of their childhood home. This one is the cover for 'The Bed-time Book' by Helen Hay Whitney (1907). 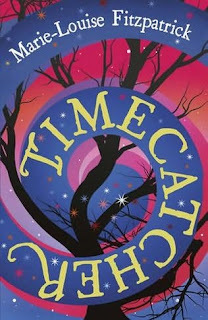 I am incredibly excited about the release of Marie-Louise Fitzpatrick's 'Timecatcher'. This is first novel for kids (ages 9 yrs. +) after so many wonderful picturebooks, and it IS fantastic! The plot twists and turns like the Timecatcher itself, in a brilliant, dramatic, humourous story with a surprise twist at the end. 'Timecatcher' will pull you along in a fast-paced journey through the present, the past and... the old Dublin Button Factory! A cracking summer read, and I'm very pleased to say, Dubray Books Children's Book of the Month for June. Mary-Louise Fitzpatrick for her beautiful and touching picturebook 'There'. Marie-Louise not only won the Bisto Book of the Year Award, but also the Bisto Honour award for Illustration. Well done!!! The Bisto Honour Award went to Siobhan Dowd for her insightful 'Solace of the Road'. The Eilis Dillon Award Award went to 'Third Pig Detective Agency' by Bob Burke. And the Children's Choice Award was given to Jane Mitchell for the excellent 'Chalkline'. It was brilliant to see so many unusual choices on the shortlist this year, and very worthy choices, I have to say. Heartfelt congratulations to all!!! Just to play a bit of catch-up, I have to say a little something about the CBI conference in Dublin on 15th and 16th of May. I'm still running on the energy from this great event, which gets better and better every year. I won't go on and on... as I said, I am playing catch-up here, but I would like to make note of a few of my favourite speakers over the weekend. The conference began with a brilliant speech by Ireland's first children's laureate, Siobhan Parkinson. I can't think of a better choice for this post, and particularly after listening to Siobhan, the energy and the effort she will bring to children's literature over the next 2 years will indeed be inspirational. Marcus Sedgwick was brilliant, funny and gave us all a lot to think about. Mihael Rosen spoke about poetry in schools and how to keep children's energy and enthusiasm for poetry. Then he performed from his own poetry over the years to the delight of us all. Check out his website (http://www.michaelrosen.co.uk/) and look for the classic 'We're Going On A Bear Hunt' on youtube. The highlight of the weekend for me, however, was the marvellous Spanish illustrator, Elena Odriozola and her beautiful illustrations and her list of 'needs'...the last of which was ' Ineed to not have so many needs.' I can relate, Elena. Welcome and please wish me luck! Hi! Welcome to my blog...which is currently a work in progress just to get it set up. 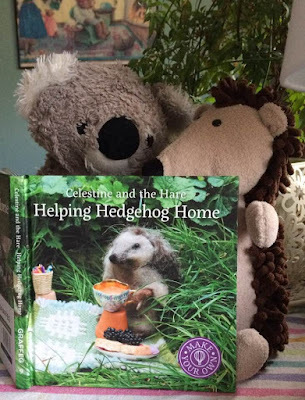 This a blog about children's books, both current and past; events, thoughts and general musings on children's books... and a few other things as well.